Between 2005 and 2014, 341 people were struck and killed by cars while walking in Minnesota, including 222 in the Twin Cities metro area. Astonishingly, these figures put us on the safer end of the spectrum nationally, with the Twin Cities coming in as the 12th least dangerous for people walking among metro areas across the country and Minnesota 11th least dangerous compared to other states, according to a new ranking out today. Who are the most vulnerable among these numbers? Nationally, people of color and older adults are overrepresented among pedestrian deaths. In Minnesota, people of color account for just 15.5% of the population but more than 20% of pedestrian fatalities. 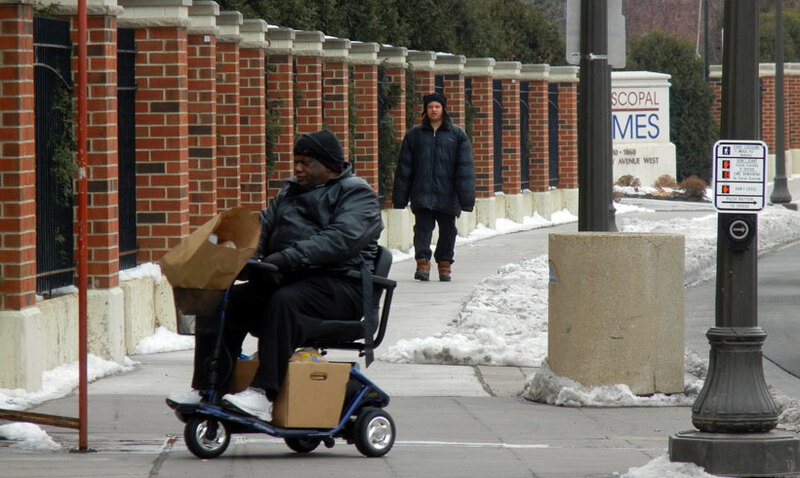 Minnesotans age 65 and over account for 13.6% of the population but 25% of the people killed while walking—making Minnesota the 14th worst state for a disproportionate level of fatalities among the elderly. “This report captures a positive trend toward pedestrian safety in Minnesota over the past decade, while revealing persistent disparities that should not be ignored. Sadly, we know that in 2016 the number of pedestrians killed in our state was actually higher than it had been in 25 years. There’s clearly a lot of work still to do to make our streets safe for everyone to use,” Treat added. Dangerous by Design 2016, the fourth edition of the landmark report from Smart Growth America, calculates a Pedestrian Danger Index, or PDI, for the 104 largest metro areas in the United States as well as all 50 states and the District of Columbia. PDI is a calculation of the share of local commuters who walk to work (the best available measure of how many people are likely to be out walking each day) and the most recent data on pedestrian deaths. In addition, the new report finds that PDI is correlated with median household income as well as rates of uninsured individuals. Low-income metro areas are predictably more dangerous than higher-income ones: as median household incomes drop, PDIs rise. Similar trends bear out with rates of uninsured individuals: as rates of uninsured individuals rise, so do PDIs, meaning that the people who can least afford to be injured often live in the most dangerous places for walking. Download the full report to see the full rankings and analysis at smartgrowthamerica.org/dangerous-by-design. The newly merged organization of Transit for Livable Communities and St. Paul Smart Trips is the largest transportation advocacy nonprofit in Minnesota. Focusing on community engagement, education, policy change, and innovative programming, TLC and Smart Trips work to advance transit, bicycling, walking, and sharing across the Twin Cities region and beyond and to ensure underserved groups have a voice in transportation decision-making. Learn more at www.tlcminnesota.org and www.smart-trips.org. Smart Growth America is the only national organization dedicated to researching, advocating for, and leading coalitions to bring better development to more communities nationwide. From providing more sidewalks to ensuring more homes are built near public transportation or that productive farms remain a part of our communities, Smart Growth helps make sure people across the nation can live in great neighborhoods. For additional information, visit http://www.smartgrowthamerica.org/completestreets. The report is released in collaboration with AARP, the American Society of Landscape Architects, and Nelson\Nygaard Consulting Associated. See the full report for all partner organization information.